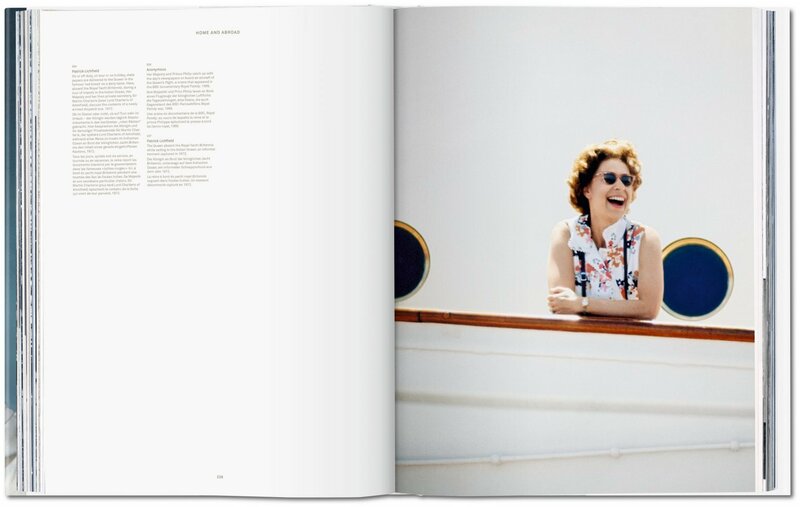 Celebrate Her Majesty Queen Elizabeth II with this resplendent photographic story of her public and private life. 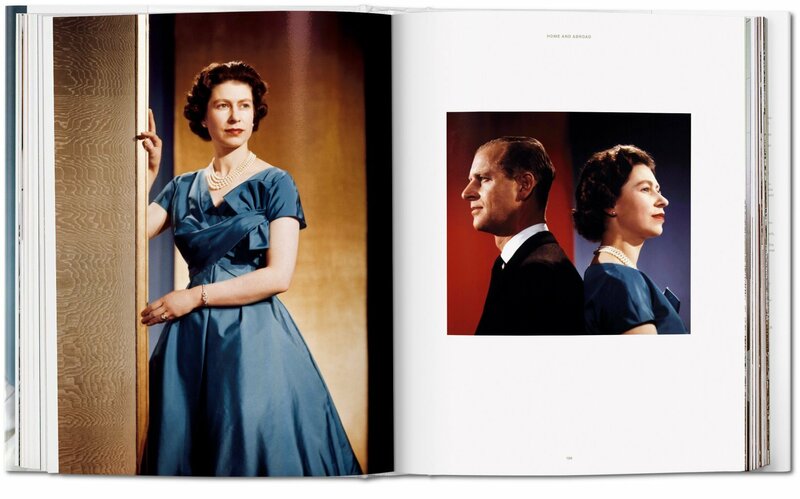 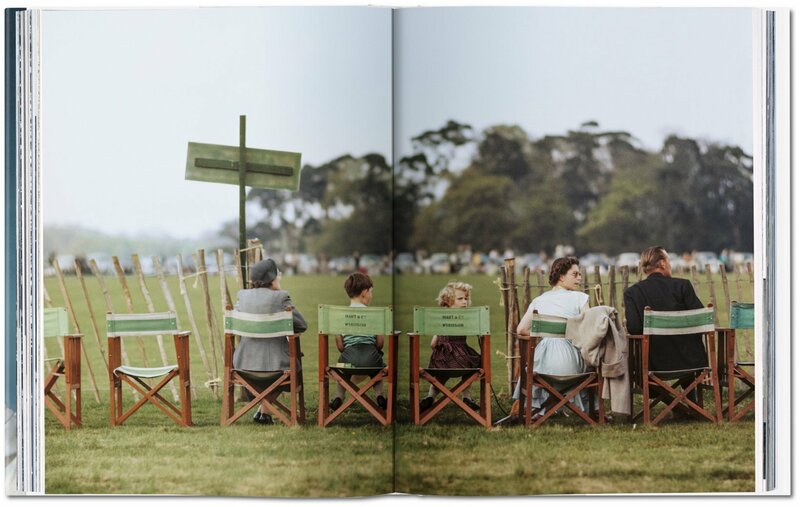 Brimming with tradition, history, glamour, and culture, this book features international tours, state functions, royal weddings, and jubilees, and showcases the glorious royal photography of such luminaries as Cecil Beaton, Lord Snowdon, and Annie Leibovitz. 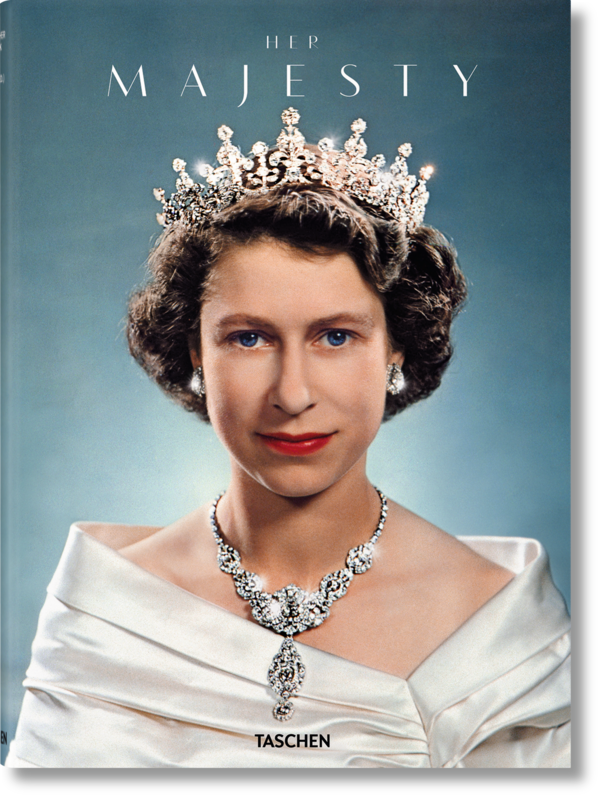 Born in 1926, married in 1947, crowned as Queen in 1953, Her Majesty Queen Elizabeth II has carried out her duty for more than six decades. 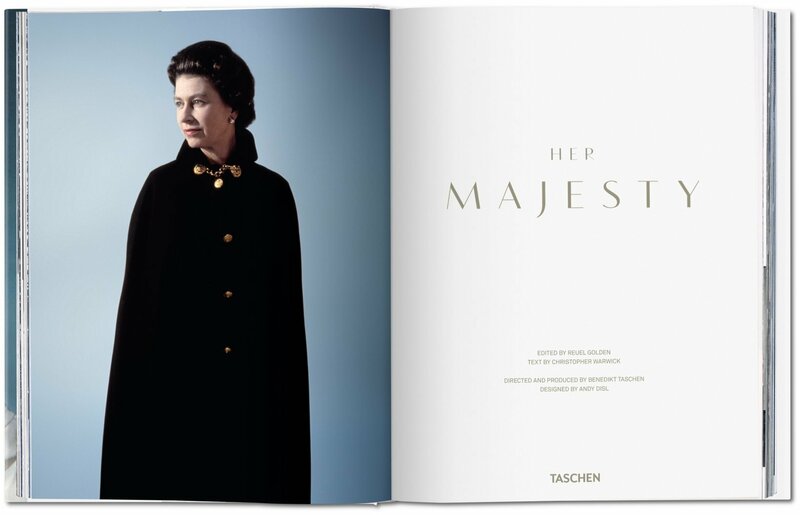 On the occasion of the Queen’s 90th birthday, TASCHEN celebrates her remarkable royal story with a new edition of Her Majesty, a resplendent photographic collection of her public and private life. 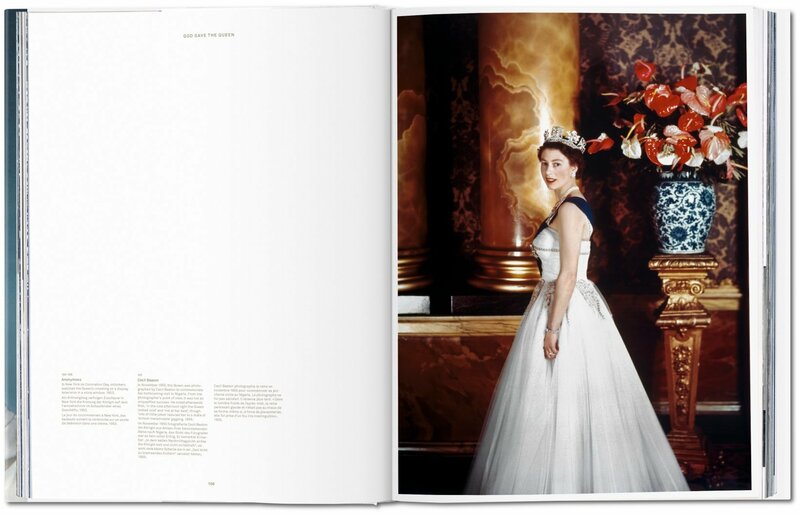 Brimming with history, tradition, glamour, and culture, the book spans the Queen’s early years right through to her most recent state tours and ceremonies. 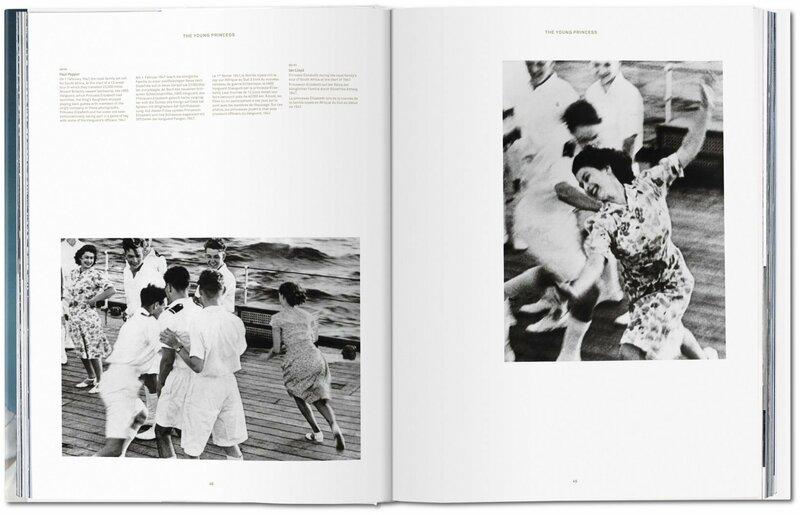 Along the way, we trace her coming of age during World War II; her marriage, motherhood, and coronation; her encounters with such icons of their age as the Beatles, Marilyn Monroe, and JFK; and her extensive international travels. 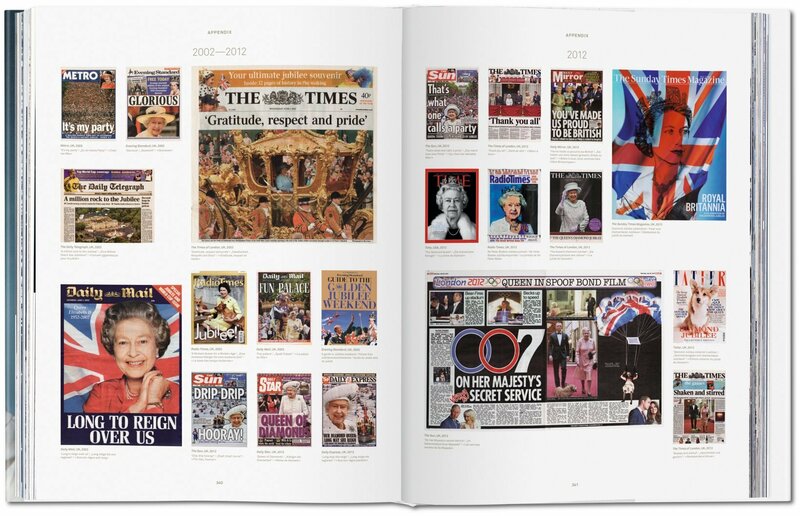 We visit the spectacular royal palaces and enjoy the infectious celebration of royal weddings and jubilees. 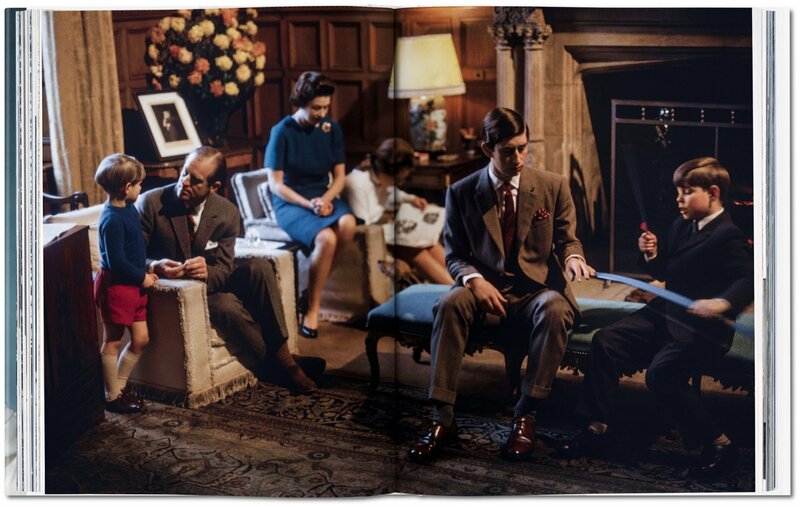 We witness the elegance of official portraits, and the tenderness and humor of informal and family moments. As much a showcase of top photographers as a royal celebration, Her Majesty includes the work of such luminaries as Cecil Beaton, Studio Lisa, Dorothy Wilding, Karsh, Lord Snowdon, Patrick Lichfield, Wolfgang Tillmans, Rankin, and Annie Leibovitz.